Considering all the amenities it houses, Helsinki’s newest library hardly seems like it can be called one. Open to the public since the last two days, the Oodi houses not just books, but also laser cutters, 3D printers, recording studios, kitchens, a gaming room with PlayStation consoles and an “immersive 3D space” (a room with digital projections ideal for business presentations and art exhibits). The building puts all of these marvellous, modern technologies (and more) into the hands of the average citizen, all in one place. The Oodi library is one of the most ambitious projects in years. Even its library director, Anna-Maria Soininvaara, is overwhelmed by all these devices, not knowing precisely how they function. After all, her expertise lends itself to literature, not additive manufacturing. Any library would be hard-pressed to find a director that understands all these fields and yet they’ve brought this gorgeous public space to life. The project is unsurprising, however, considering how much faster the Nordic countries have been in accepting digitisation. Additionally, nowadays all sorts of educational programs are bringing 3D printing education to the classroom and public. It’s no surprise that tech-savvy countries are pushing forward with innovative concepts like this. In contrast, libraries and education programs in other areas of the world have succumbed to defunding and obsolescence. They can be expensive and hard to justify to the public. So why put so much effort and money into this library? Isn’t it a building that most cynical nations would think has outlived its purpose? The answer, its avid supporters and its creators say, is building a social infrastructure that unites people. The 3-story structure that contains all this tech cost €98m, cost of machines included. 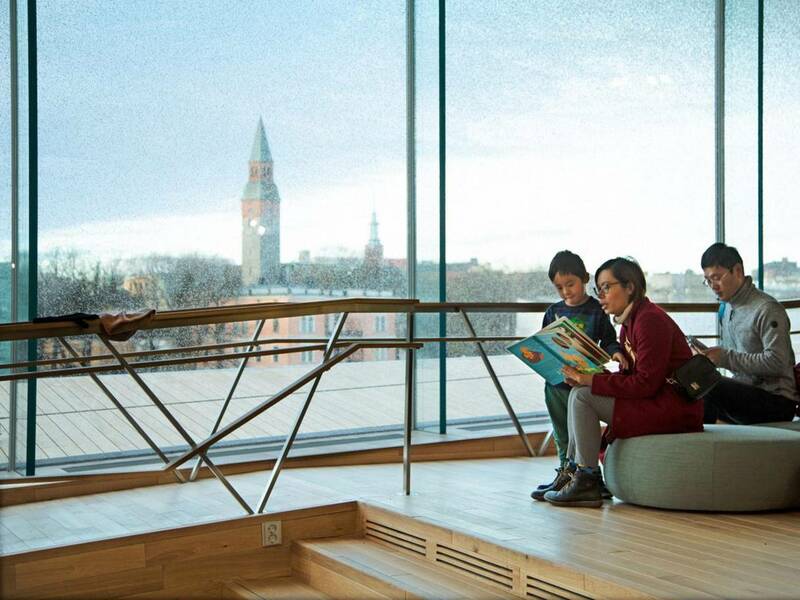 It serves as an opportunity for Finland to reinvent and modernise the idea of the library for the 21st century. While it houses a lot of varying gadgets and functions, each floor has a theme, making it easier to navigate. The ground floor includes a restaurant, movie theatre, European Union information centre and several areas suited for concerts. 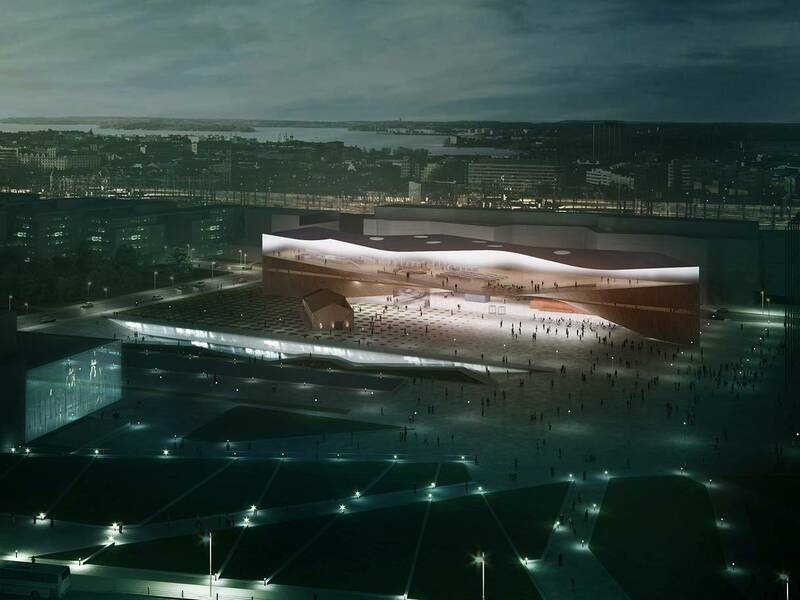 It’s basically a place for Helsinki’s residents to socialise. The second floor contains all the nifty electronic equipment and some workrooms. The builders designed it for noisy, labour-intensive activities. Finally, the top floor features an open-plan, brightly lit “book heaven”, something we could more traditionally call a library. “We took into account the fact that libraries will always be changing,” says Samuli Woolston, a partner at ALA Architects, the Finnish firm behind the building. “Already, their use is different now from what it was 10 years ago.” Since the building had been in the process of development for over a decade, they incorporated new functions as they came along, reiterating the design when necessary. Tommi Laitio, the city’s executive director for culture and leisure, does not hide his political intentions. He sees the library as a key weapon in fighting right-wing populism. With growing uncertainty about the future, he believes people begin to distrust one another. To counter this, they’ve built a structure that shows the wonders of the present and dispels fears about the future. Oodi’s architects designed the building’s balcony so it stands at the same level as the stairs to the parliament building across the square. This symbolic gesture signals to the public that learning is as important in Finnish society as politics. What else can one be but inspired by their vision. Featured image courtesy of ALA architects, retrieved via the independent.